We'll talk you through everything. More to say? Mail us. 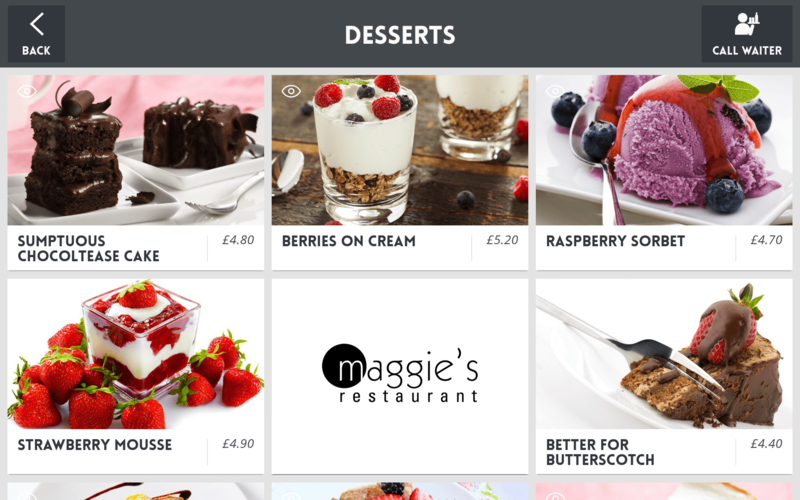 Magictab is a beautiful customer-facing tablet that takes orders and payments all by itself. "Great service. Can order your drinks and meals right from the tablet on the table! Highly recommended." for the best profits ever. 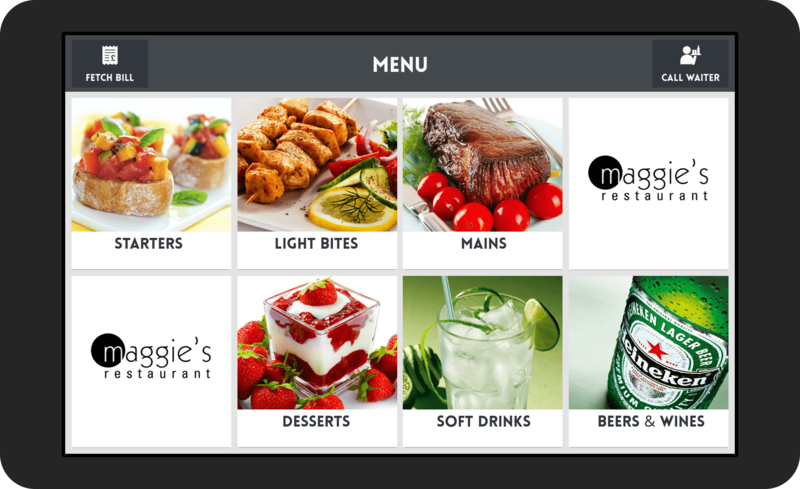 Magictab works alongside your waiters to create a great service experience. Yet waitstaff are expensive and good ones are hard to find. The average restaurant spends £140,000 a year on waitstaff and misses £90,000 a year in sales when waiters get busy. They forget to suggest things and they have no time to sell drinks when glasses run dry. Waiters leave magictabs with customers throughout their meal. 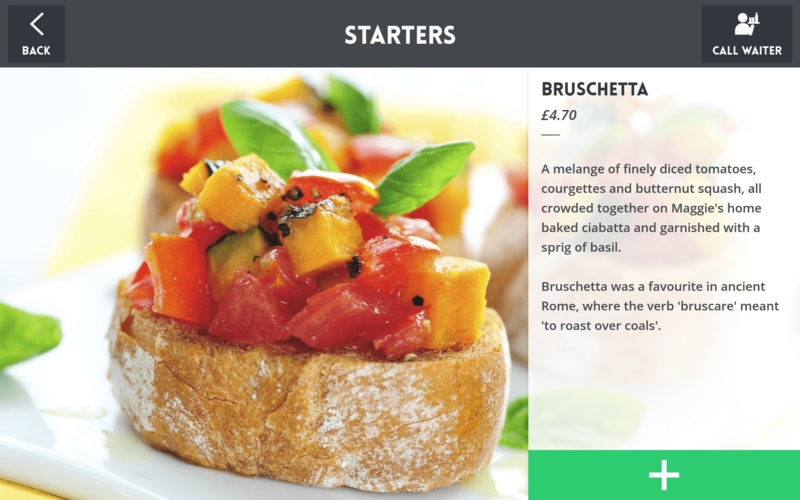 Customers can explore the menu, order as many times as they wish, and pay the bill anytime they like. Waiters serve tables just as usual, always on hand to help. "Loved everything about this restaurant. The little device on the table to order our food was brilliant. A****"